One of the most addicting things someone can develop a habit for is modifying their Mustang; with such a large and expansive aftermarket, the possibilities for how and what to modify on a Mustang are seemingly endless. There are far worse things someone can become addicted to and none of them seem to be as rewarding or enjoyable as putting new parts on your pony, which is exactly what AM customer Mike S. has found out first hand. 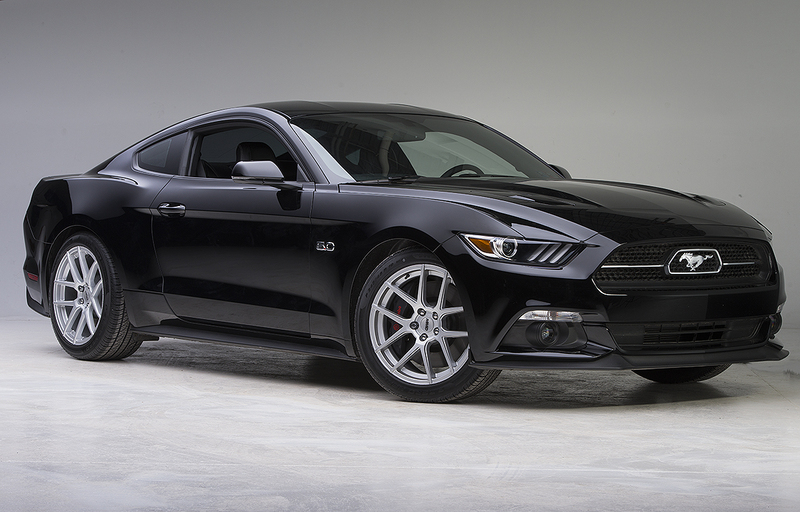 If you think the devious black 2015 Mustang GT in this spread looks familiar, it’s because this is not the first time it has graced this blog. 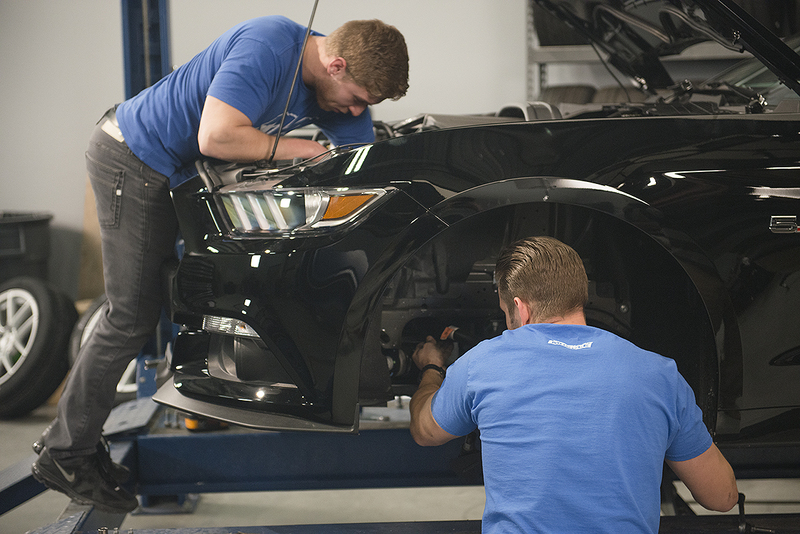 Mike previously came to AM looking to up the horsepower on his S550, which we were more than happy to help with. After adding a Flowmaster exhaust, Airaid Cold Air Intake, and Bama Performance V2 Tune, it was obvious that Mike had been bitten by the all-too-common modding bug that has bitten many of us before. Mike returned to AM looking to further upgrade his 2015 Mustang. “I’m looking for some things just to kind of give it a little bit more of a performance stance,” Mike said. He went on to elaborate, “Get it down a little bit, make it a little bit tougher, and I’m looking for some new wheels.” With a clear vision in mind, Mike threw together a parts list any 2015 owner would desire, one that really honed in on addressing the handling of the S550 Mustang. Improving the stance of his Mustang, a set of Vogtland Lowering Springs were added, which gave Mike’s S550 a nice 1” drop, helping to eliminate that factory wheel gap. Mike paired the Vogtland Springs with a set of MMD Zeven wheels in silver, which really popped when juxtaposed with the jet black paint of his ’15. Mike couldn’t wait to give his new mods a test on the road. Mike said, “The grip, just the handling- everything from the corners to the bumps and everything else, it just grips.” Needless to say, Mike was incredibly pleased with his newest mods, and assured us that he’ll be back for more.